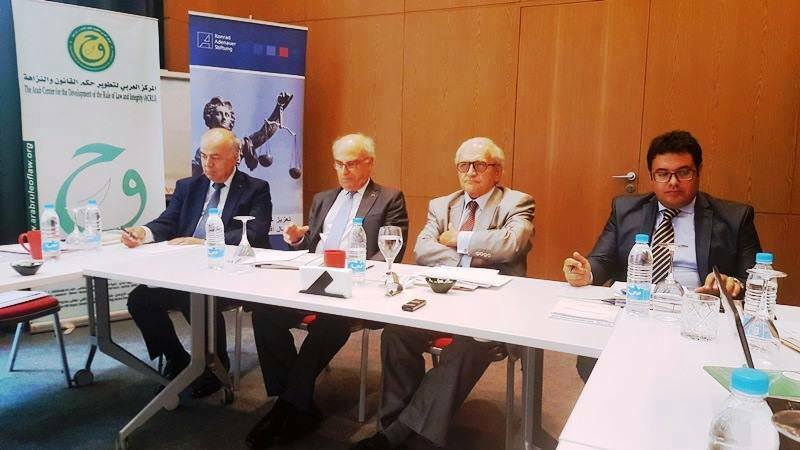 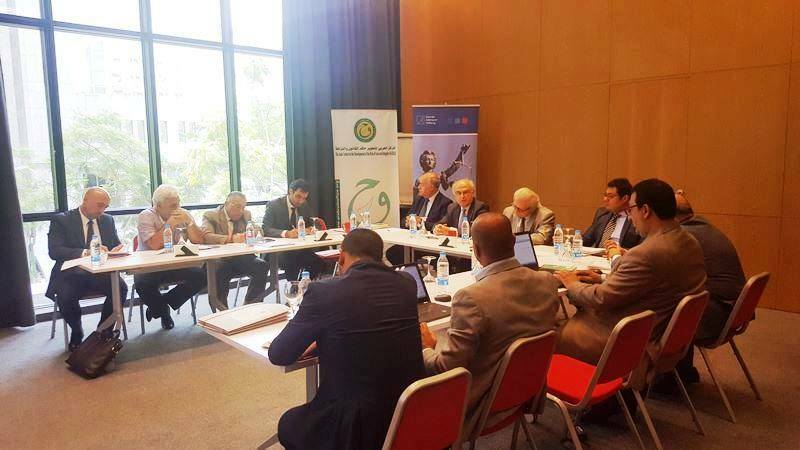 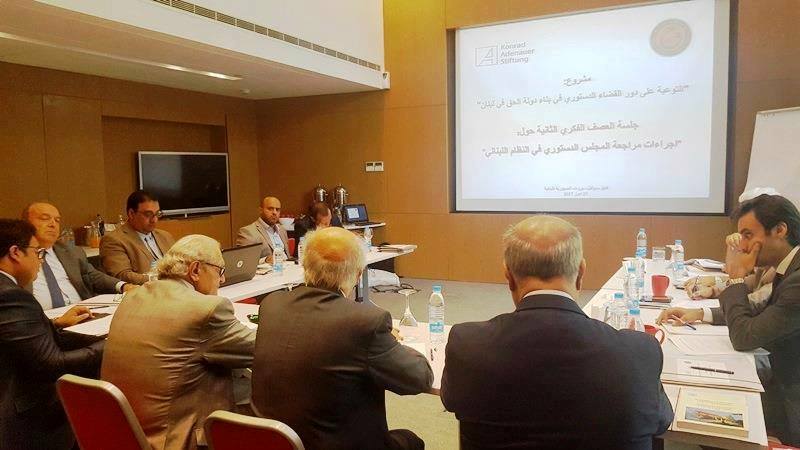 Within the Framework of “Promoting the Constitutional Council Role in Building the State of Right” project, ACRLI has organized in cooperation with the “Konrad-Adenauer-Stiftung” the second focus group on “Rules of Appeal before the Constitutional Council “at July 27, 2017. 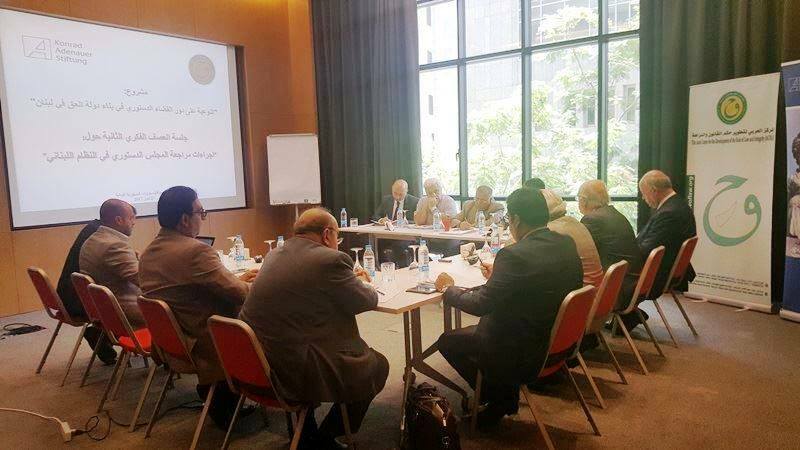 The purpose of the focus group is to shed lights on this topic due to its importance and its repercussions on the recent Lebanese situation, especially as we are at the beginning of a new era, which we may witness various regional and structural changes; and due to its importance to deepen, strengthen and expand the authority of the Constitutional Council to guarantee the rights of citizens which reinforce the rule of law in Lebanon. 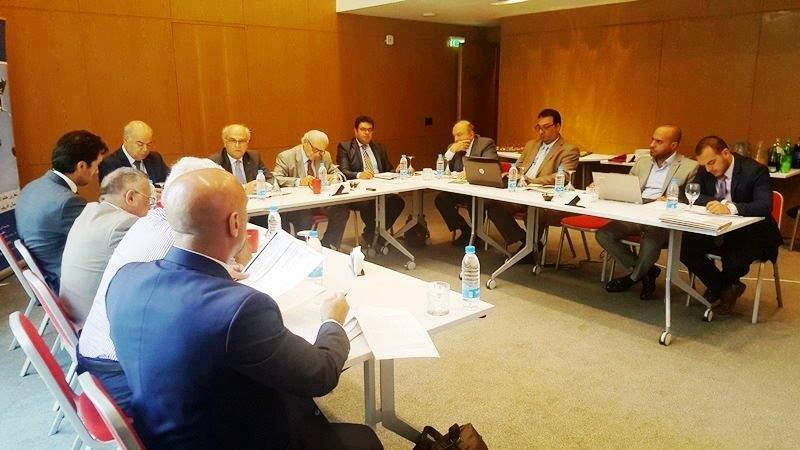 The focus group has gathered senior experts in constitutional law, mainly Dr. Issam Sleiman (President of the Lebanese Constitutional Court), Dr. Wassim Harb (Founder and General Supervisor of ACRLI), Dr. Ghaleb Mahmassani, Judge Ghaleb Ghanem (Former President of the Lebanese Judicial Council), Dr. Omar Houri, Dr. Issam Ismail, Dr. Antonios Abou Kassem, Mr. Nicolas Nasif, Mr. Georges Chahine, Mr. Khalil Toubia and Mr. Roger Khoury.